Translated to English by Kassy Cho. A singer-composer, radio DJ, actress, Taiwanese born and bred artist Waa Wei has recently added to her expanding list of accomplishments with the release of her new picture book Yan Hua (Word Flower). These words and illustrations were not intentionally created for the book but fragments Waa has recorded down over the past few years—lyrics that have not yet fully formed, she says. 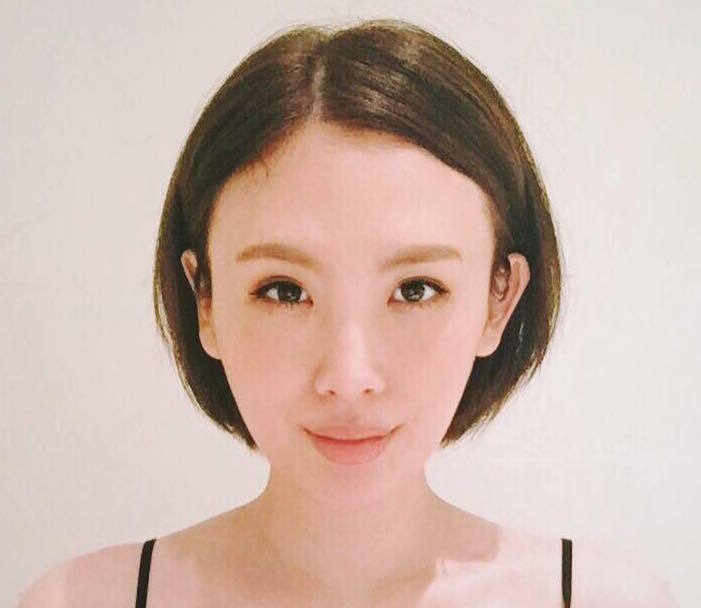 City543 had the opportunity to sit down with the Golden Melody nominee for Best Female Singer to chat about the big and small things in her life. First of all, congratulations on your Golden Melody nomination! Let’s start off with some quick questions about you. If you were an animal, what would you be? A cat. I have two very bipolar cats. But both are like me. One is always grumpy, hates being touched and only comes to find me when it’s in a good mood. The other is very clingy. They’re two very contradictory personalities, but they’re both me. Your pet peeve: People who don’t reply. When you found out about your nomination, who was the first person you shared it with? Haha, my mind went completely blank when I heard the news. It must have been quite a whirlwind since then. Can you tell us about what an average day is like for you? I spend most of my time in my house or around it. When I’m hungry, I’ll go in search of something to eat at my cafe. If I’m not at forgood cafe, I’m at home. I spend most of my nights at the radio station, which means I’m most free in the afternoon. I really like the Daan area; it’s just too comfortable. I miss it every time I leave. So what else has been keeping you busy lately? 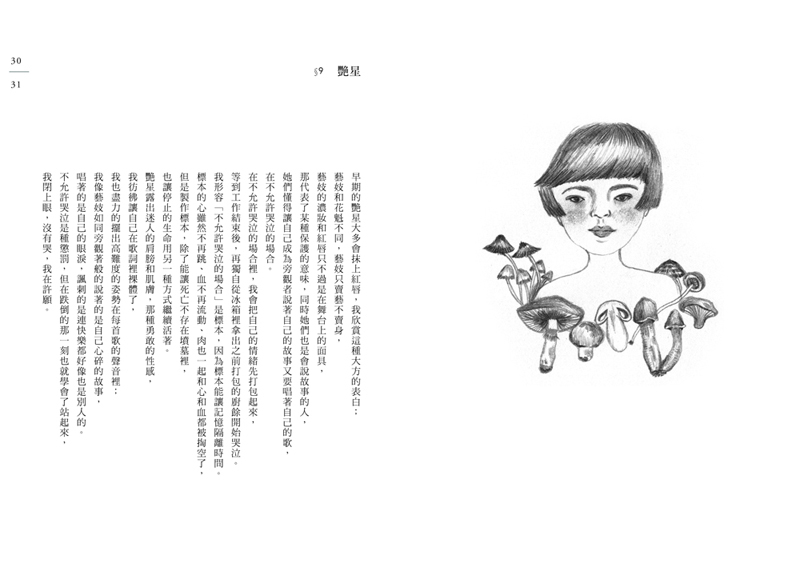 Events, book signings for Yan Hua (Word Flower) all over Taiwan—north, center and south. I’ll be heading to the Glastonbury Festival in England, and then it’ll be the Golden Melody Awards ceremony right after that. Speaking of your book, can you tell us a bit about its message? The book is filled with words—lyrics that are not yet fully formed—and in a way it’s an outlet for my emotions. It lets me re-examine another, different me from the past, a part of me that’s very private. It’s much more than a literal interpretation of the word “flower”. For me, these are words that have been thrown into a lake and later crystallized. When I took them out again, they melted. But they will again crystalize when the words enter the readers’ hands. The crystalization of these words is a kind of flower in and of itself. Can you share your musical journey with us? I’m not really one to divide my life into stages. For me, every part is an experience. I’ve always been very sensitive to sounds. There weren’t that many singing competitions when I was young; Five Lights Award was the only singing competition on TV. When I started school, I joined the school choir, poetry slams and speech competitions—everything had to do with sounds and my voice. Filling one’s notebook with song lyrics was also a fad when I was younger, so I’d often ask my friends to sing together after school. In my senior year, I signed up for a singing competition with my classmate without giving it much thought. I’d never imagined that after my friend was eliminated in the first round I’d go onto win first place. Then I signed with a record company, gradually meeting more and more professionals in the music industry, before I myself finally became a part of it. After I became the lead vocalist of the band Nature QQQ, there was a period when my throat was injured and I lost my ability to sing. I moved to Hong Kong then, to get some rest and recover. Those weekends were spent hosting an evening radio show, and I’d occasionally fly back to Taiwan to record songs for commercials. Luckily, thanks to the prayers of several producers, my voice gradually—and miraculously—recovered. Filled with gratitude, I went to church and was baptized. After I got my voice back, it was more powerful than ever—it was no longer lost to the sound of the drums, and I could belt out rock songs. I truly believe that this is a gift from God. Whenever I don’t want to sing anymore or feel like giving up, I always remember that I’m not singing for myself; I’m singing for Him. My perspective has changed ever since then, and I no longer feel as much pressure as I did before. At the same time, I learned not to compare myself to others. Who are some of the producers who have significantly influenced you? Nature QQQ’s guitarist—Chico Tsai. He introduced all kinds of international and national music to me, spurring my interest in independent bands. And Macy Chen—she sings jazz and taught me how to use my voice. What can you reveal about the concept behind your next album? The style will be more relaxed, kind of like taking a vacation. Is there anyone you want to work with next? What kinds of music or performances do you hope to see in Taiwan? I hope there’ll be more unexpected cross-industry collaboration with brands, from music, to images, to fashion to even education. Who are some international artists you admire? I really like Kahimi Karie and Chara. 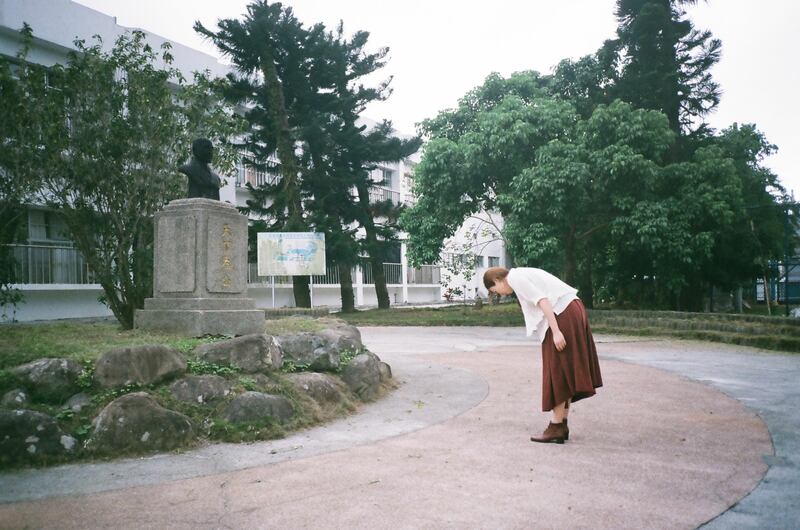 If Kahimi were to visit to Taiwan, where in Taipei would you take her for a day? I’d take her to my house or around my house and then to the places I usually go to—the recording studio, radio station, Liou Pin Gourmet Restaurant near Yongkang Street. We had a piano at home. My dad is a music producer, and my aunts all play the guzheng. Not that my younger sister and I put that much effort into learning the piano. When it came to music, I just liked it. When you don’t have any music instruments, you have sounds. I could play with sounds alone; I could sing. Ever since kindergarten I knew I liked to sing and that it was exactly what I wanted to do when I grew up. You spent your childhood in Hualien. What do you miss most about it? 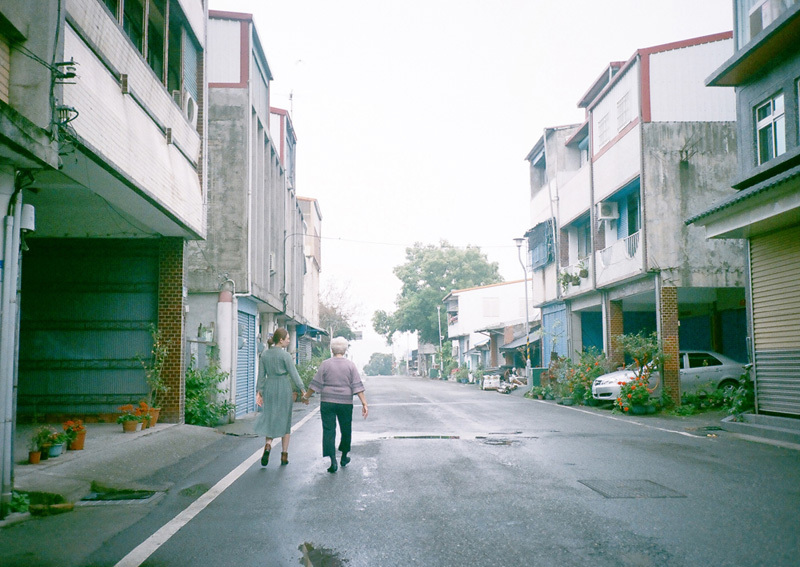 What are your favorite places in Hualien and Taitung? Kazakuen B&B, Fuli Stay, Liushishi Mountain. Is your hometown somewhere you’d like to live after retirement? If not, where would you like to retire? Finland, for its tranquility, its relaxed pace of living. It actually feels a bit like my hometown in Fuli, Hualien. Perhaps I’ll want to live in a place like that when I’m old. Do you have any advice or words of encouragement for recent graduates or those pursuing their dreams? Don’t be afraid. I think a lot of people are too scared. Scared of what others will think. Scared of comparing themselves with others. No matter what others say, hold your ground—stay true to what you believe and what you want to do. If you can do it, then that’s it. Life will employ countless methods to let you know where it wants to take you. So all you have to do is relax, and not be afraid.